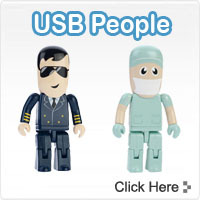 USB People Flash Drives are the most ultramodern and unique style of USB design around today! 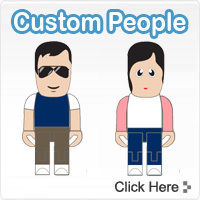 Their purpose is to promote your company to the max as well as establishing brand awareness. 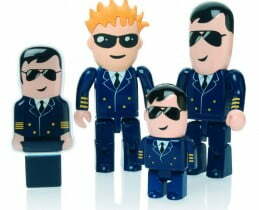 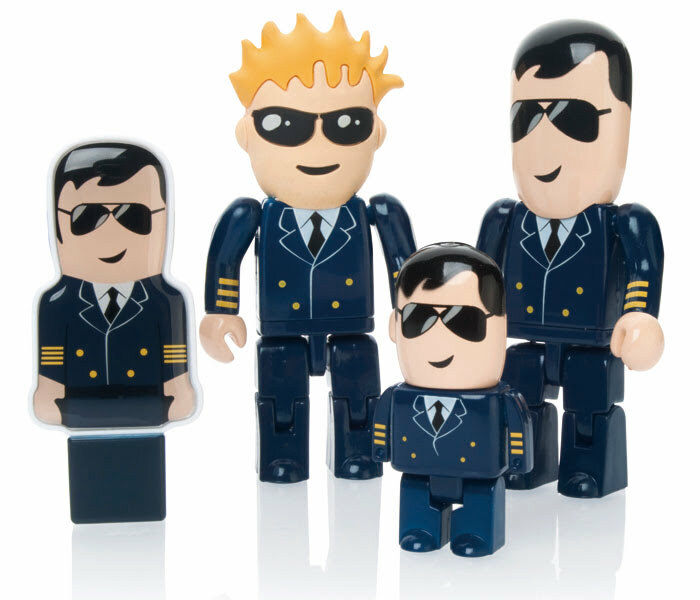 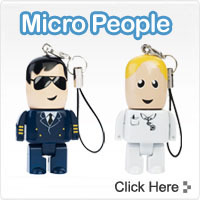 USB People Flash Drives make their mark in an extremely competitive industry. 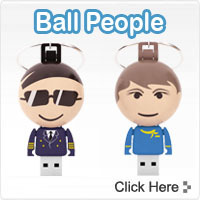 USB People UK is able to print your company logo in up to four spot (solid) pantone colours and upload data free of charge up to 60Mb. 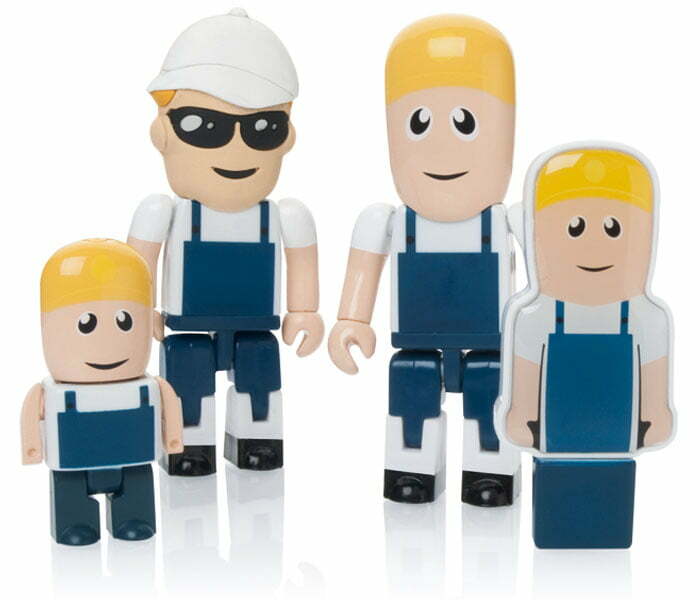 The print area for all company logos / text is 16mm x 16mm. 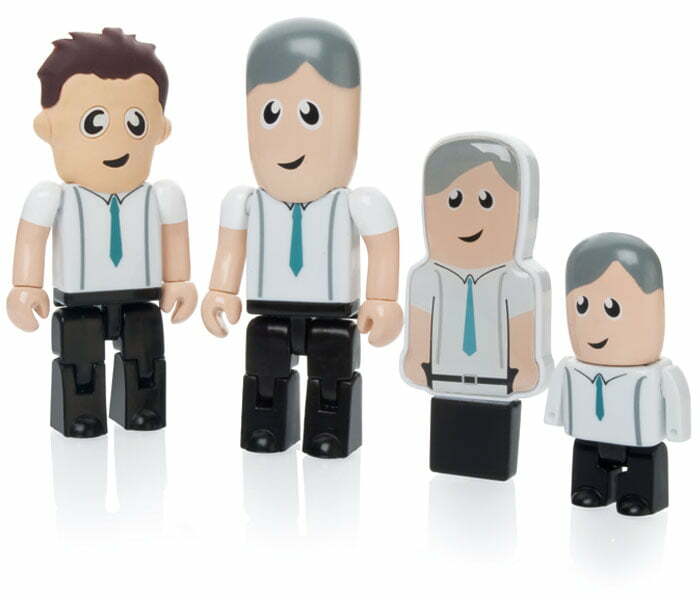 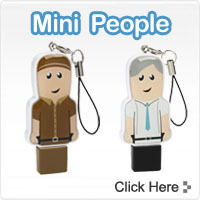 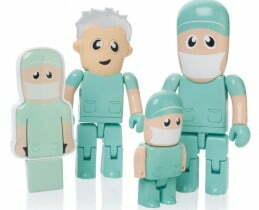 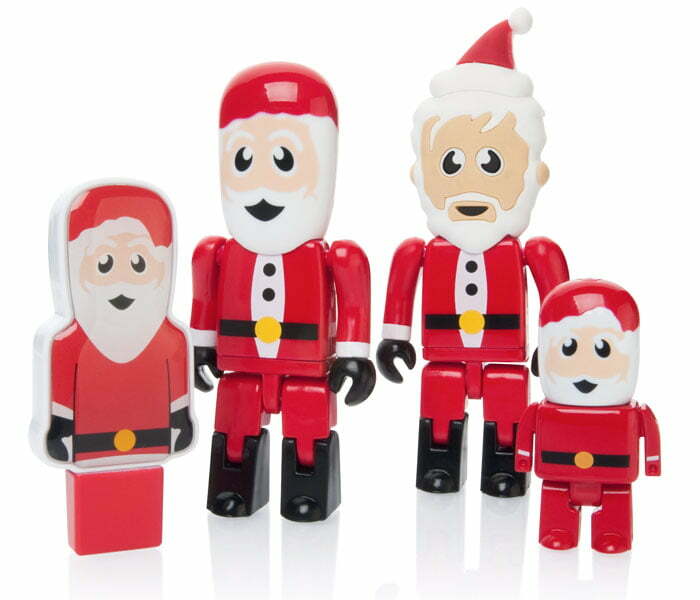 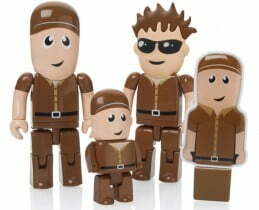 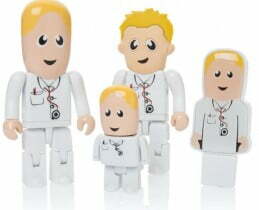 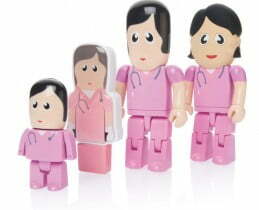 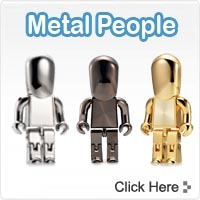 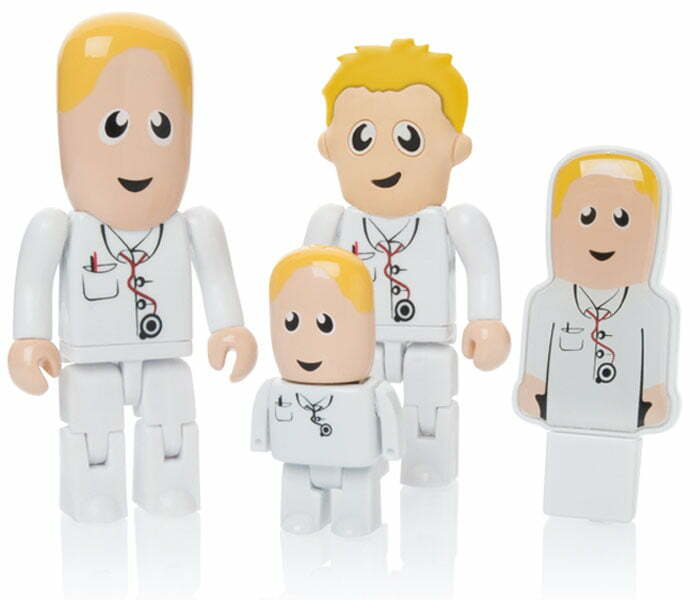 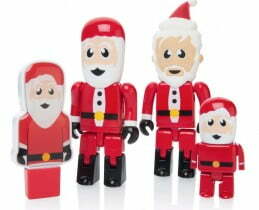 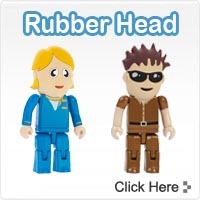 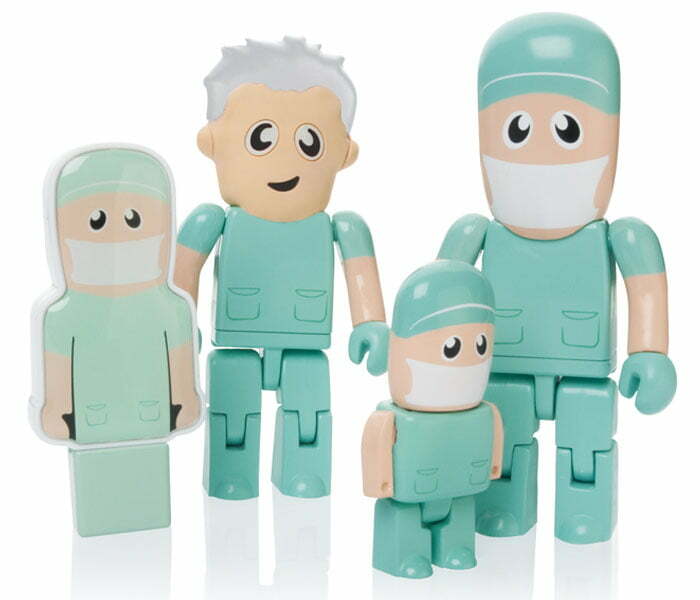 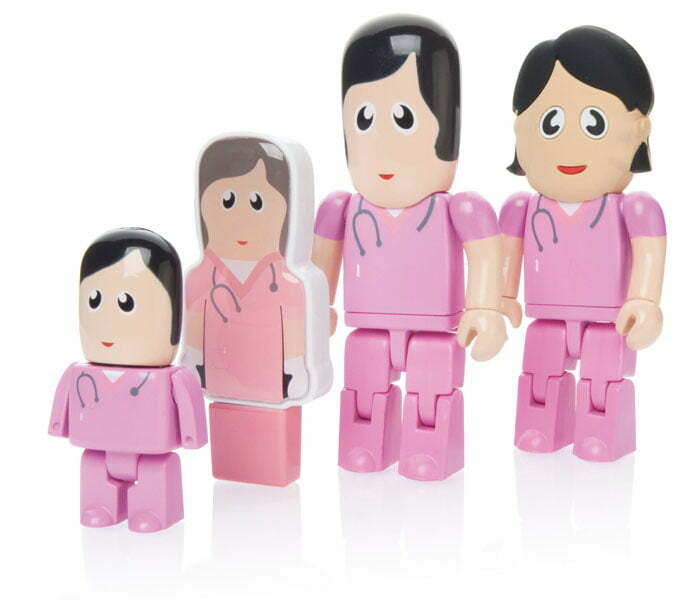 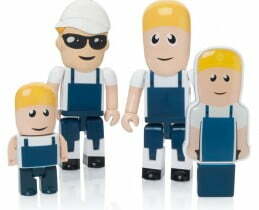 USB People Flash Drives have movable arms and legs along with a range of hair and skin colours and facial features. 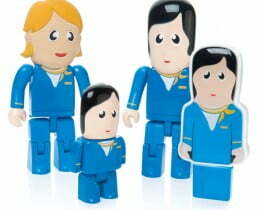 Memory capacities begin at 512Mb and increase up to 8Gb. 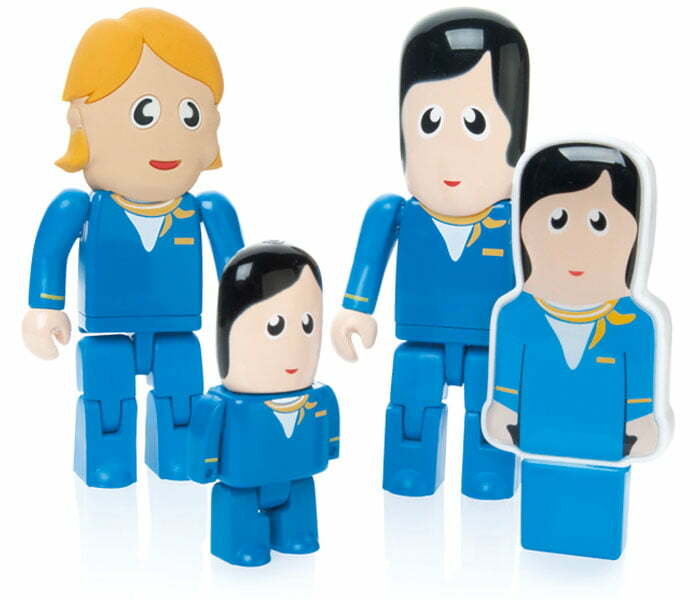 The USB Drive is situated on the body of drive, so just simply pull the head off of the USB Person to access the USB device. 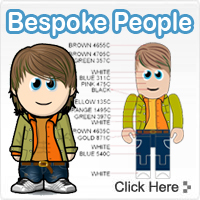 We also offer a free visual mock up service where we design your USB person to meet your exact needs – with no obligation to proceed. 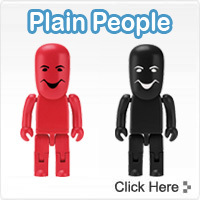 Please call our Sales team now for more information.